I'm a bit of a sucker for SLRs. Not that I'm a particularly adept photographer, it's just that I've had my Canon AE-1 since I received it for my 16th birthday in 1980. It's my baby, but of course, film cameras have become all but obsolete in the last couple of years. I wanted a digital SLR for years, but just couldn't justify the cost. If you missed one of the previous deals during the summer here's good news! 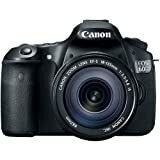 The special price promotion for Canon EOS cameras has been extended. 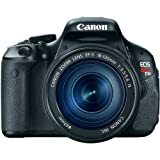 The following models are eligible for rebates: Canon Rebel T3, T3i and EOS 60D, although I will focus on the T3i for the purpose of this article. Plus, it is the most popular Canon model at this time, and the one I bought myself. Important: Prices change daily. Check individual products for latest price. MAKE SURE ALL ITEMS ARE SOLD DIRECTLY BY AMAZON LLC, not other vendors! If you're not seeing either of these, chances are you did not order directly from Amazon. Go back to the item page(s) and be sure to select Amazon.com as your seller. The total before tax should now be something in the area of $670, more or less. Prices tend to fluctuate constantly, so this may vary a bit. With your purchase, you currently also get a nice 2% cash back in the form of future Amazon credit. You will also receive $2 credit towards MP3 downloads from Amazon. If you have the Amazon Store Card, your purchase may be eligible for up to 12 months interest free financing. This alone can save you a handsome amount if you would otherwise finance your new Canon camera. If you have an Amazon store card you can get this camera financed interest free for one whole year. Or, if you have the Amazon Visa card you can count on 3% of the original purchase price in cash back points. Please note: The following calculation was from an earlier promotion. It is left here only for reference purposes. After you place all items in your cart, the subtotal should come out to something like $1,089, depending on the current prices (which may be slightly different than at the time of my writing). The instant discounts will be shown in the cart. You should see an instant deduction of $150 for each of the lenses. And a promotional credit for the entire cost of the memory card, and the Camera Bag. Also, you need to make sure to check "Free SuperSaver Shipping", if you're not a member of Amazon Prime. If you don't see the "Promotion applied" discounts then either you did not buy directly from Amazon, or the promotion has ended. Still a far cry from my goal of $300, but we're only getting started. We will need to get that $400 back via mail-in rebate, and then we will need to get rid of some accessories we can do without. If you've been on the fence, this is the time to buy! 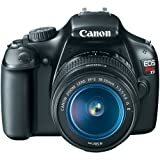 Save $100 via instant rebate on the T3, D60 or T3i digital SLR cameras. Simply add the product to your cart, the discount is already reflected in the price. Free Tiffen Filter with Purchase: Simply add both qualifying products to your Shopping Cart, savings will be applied at checkout. 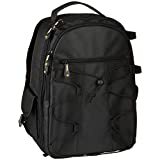 All rebates and promotions will bring the effective price of the Canon Rebel T3i including 2 lenses, 2 filters, a Canon Pixma photo printer with free paper, plus a sling backpack, down to about $690. That's about the same price you would pay for the camera kit alone in most "regular" B&M stores. Preliminary Calculation: How much lower can it get? Ok, the first part was easy. We bought the entire package worth more than $1,500 for about $870. So far so good, but now comes the elbow grease and YMMV part. I will have to sell some of my equipment to get into my desired budget zone. A quick research over at eBay makes me confident I could make about $500 back from the sale of one of the telephoto lenses, the printer, and my current camera. I will keep you posted on my progress. Feel free to share your own experiences in the comment section. I wanted to put the $400 rebate towards the payments for the camera, instead of having a gift card. The Amex card arrived after a couple of weeks, and I noticed in the fine print that you can request a check for the remaining balance at any time. So I called their friendly customer service, and they were happy to send me a check instead. Bingo! This is where the major YMMV (Your Mileage May Vary) comes in. Depending whether you have a good camera and whether you even want to sell it at all. I just bought the Canon PowerShot about 2 years ago, and although it is a nice little camera it still is not the same as a dSLR. Since it was a pricey little bugger with a fairly high resale value I am going to sell it to finance my new Canon Rebel and bring the total cost down even more. The camera and extra lenses arrived last night. This was one of the longest weeks I've had to suffer through! Unfortunately, the 75-300mm lens was in a ripped box and the packaging was missing. Amazon customer support however came through without problems and I can return it for a full refund. Let's hope this works out as promised. The printer had arrived the day before so now my order is complete. Just need to file for my $400 rebate now and then I can proceed to list it on eBay. It's a really nice printer and I'd love to keep it, but I have no real need for it and must remember my quest to lower my out of pocket expense for this camera indulgence. But for now, here are a few of my very first shots with the new camera. I did some cropping and edited the picture of my son with a simple "auto levels" filter of my image processing program. I have received my $400 mail-in rebate and sold some of the extra equipment. 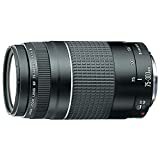 I was able to return the 75-300mm telephoto lens for a full refund (see above), and I sold the printer for a net profit of $180 (after shipping and sales commission). 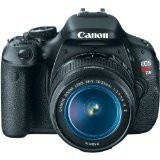 I did adjust my plan of selling the Canon G11, and decided to keep it after all. Even though its not exactly a pocket camera, there are times when I still don't want to tote the big photo bag around. If I would have had the heart to sell it, I'm pretty confident I could have gotten around $300 for it. Once I made the decision to hang on to the G11 I felt much better about the whole deal. I'm happy! As soon as I got my hands on the new camera I realized I already have a wish list for accessories and upgrades. Must.Use.Self-Restraint! Will try to work my way down the list in the next couple of weeks. It's already clear that I need a book that will teach me how to make the most of my new camera. After reading all the reviews of the available guides, this one gets my vote. I hate to have my battery die on me at the most inopportune moments. At least one spare battery is good to have. This one is cheap, has good ratings, and comes with screen protectors plus cleaning cloth. Deal! Without the little tether the lens cap easily gets lost. I also like the fact that you don't need a pocket to store your lens cap while shooting. This one is cheap enough and has acceptable ratings. I don't dig the "peel and stick" lens cap tethers. The built-in pop up flash works fine for many casual situations, but for quality images you're going to want a better flash with more control and speed. The Canon Rebel T3i - A good deal? Nightowl, Do you tend to prefer your photos from the G11 or the T3i? That's a lot of work, but it's a great savings. I own a PowerShot A630, but would like to get a SLR. Don't sell your G11. I love this camera. I wrote a review about it on squidoo. I'm discovering each day another of the joys of digital photography - I used to develop and print b&w in a darkroom. I do miss that, but digital is so much fun too. I've had my eye on this camera for some time. My camera wouldn't fetch enough to justify the cost. I love photography so knowing that finding a bargain when buying a camera is possible is very exciting ^_^ and... those pics are great! awesome guide :) I might use it :) thanks a lot for sharing! FABULOUS PICS! I just know you'll be having a wonderful time playing/working with your new camera! I enjoyed reading your step by step guide to a great bargain! Thanks for the vote of confidence. I can't wait for the camera to arrive so I can take it out for a spin. Aptly nicknamed the Nifty-Fifty, this lens is cheap and versatile lens that I have quickly fallen in love with. Here are some reasons why.